At The McCartha Law Firm, LLC, we have been protecting our clients' families and businesses since 1997. For more than 15 years, we have been providing exceptional legal business and estate representation and financial counsel to our clients. From our Huntsville office, we provide sophisticated representation with a family and small firm atmosphere. Attorney Jason McCartha is an experienced lawyer, and Jennifer McCartha serves the firm as an in-house Certified Public Accountant (CPA). Together, we provide you with uniquely comprehensive legal insights and tailor the right solution for your needs. 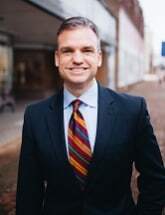 This lawyer-CPA combination provides a unique benefit to our clients in legal matters that include wills, probate administration and estate planning, business startup (LLC & S-Corporations) and counsel, church and nonprofit startup (501c3 recognition) and counsel, and adoptions. At our law firm, our experience — both legal and financial — and skill is backed by a strong commitment to engaging, personalized service for our clients. To schedule a consultation with our law firm, call 256-270-4233 or contact us online.